Barcelona is a city that is full of little treasures that delight and surprise. 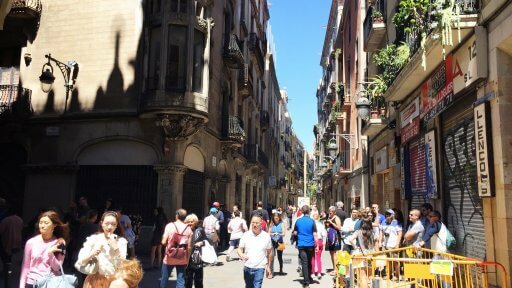 For example, you could be strolling around the Barrio Gotica on a Saturday afternoon and find a load of people dancing the sardana to the sound of a cobla band. Similarly, you might be wandering through the narrow streets of La Ribera, turn a corner and find one of the most beautiful modernist buildings in the city. That’s exactly what happened to us a few years ago, when we turned onto the Carrer de Sant Pere Mes Alt and discovered the Palau de la Música Catalana. I like interesting architecture, something that I picked up from my dad. Having said that, it’s rare for me to come across a building that literally stops me in my tracks. However, that was exactly what happened when we turned that corner. We both just stood there in awe, mesmerised by its beauty and colour. We were also both struck by the contrast of the bright modernist decoration and the grey, straight buildings around it. From the moment we saw the façade of the Palau de la Música Catalana, we knew that we had to explore the place and find out more about it. We needed to know what it was and how such a stunning Modernista building had come to be in the Old Town. Most examples of the modernist style are to be found in the Eixemple and García barrios. At the start of the 20th century, these were wealthy parts of the city, whereas La Ribera was definitely not. 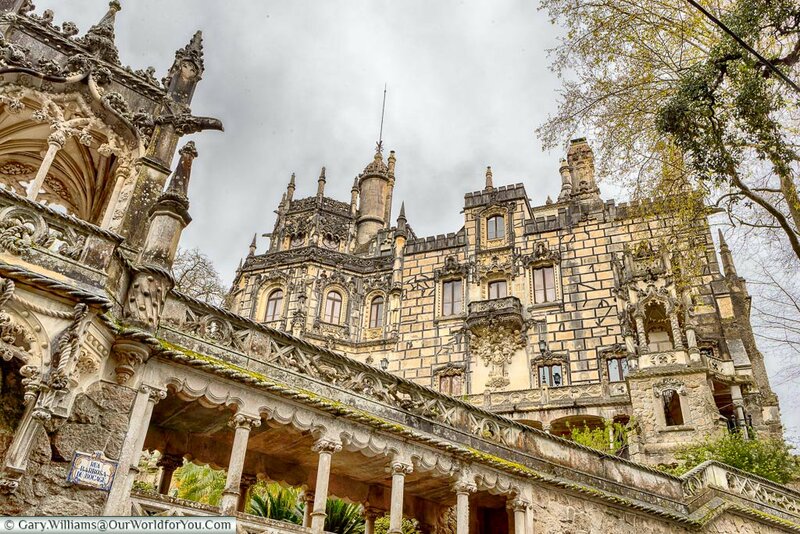 The rich people of Eixemple and García could afford to commission grand modernisme buildings. The textile workers of La Ribera could barely pay their rent. Once we began to look at the building, it was easy to see that it was some sort of theatre. 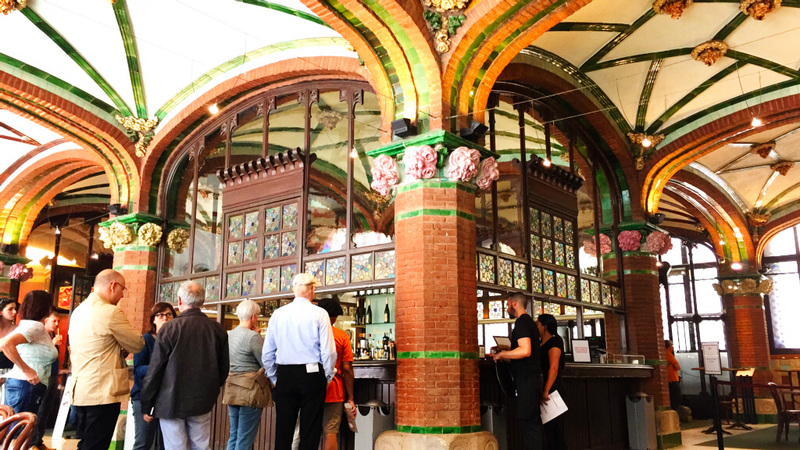 The words “Orfeó Català” are above the doorway. However, those words meant nothing to us at the time. We looked through the glass doors and could see people walking around. At the same time, we couldn’t see an entrance. The glass doors we were looking through were quite clearly closed off. We began to walk around the building and soon found a large courtyard on the side. This turned out to be where the main entrance is located. Wandering into the courtyard you are faced with a wall of glass that allows you to see the intricate designs on the side of The Palau. These were hidden until 2000 when the neighbouring church was removed. 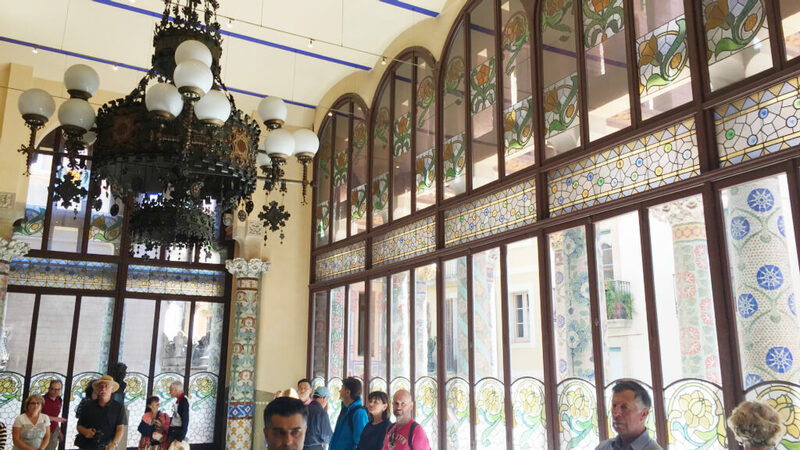 Walking through the glass doors and into the main building, we had a taste of the elegance of the interior. The glimpse we caught of the café area inside whetted our appetite to explore further. However, we soon discovered that we could only see the rest of the building as part of a guided tour. On the spot, we decided to buy tickets for the next English tour. 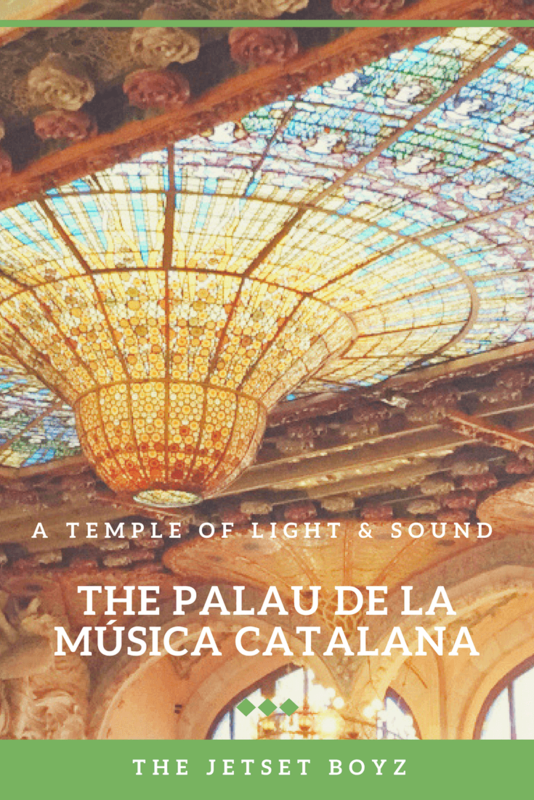 We were so impressed by that tour of the Palau de la Música Catalana, that when we returned to Barcelona in May 2017, we knew we wanted to visit again. For this trip, we booked tickets for Skip the Line: Barcelona Palau de la Música Catalana Tour. on Viator. 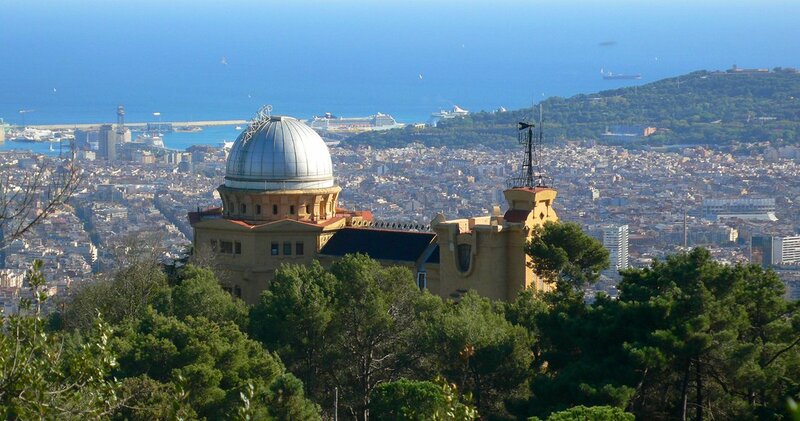 As well as the Skip the Line tickets, Viator have some other options for visiting The Palau. However, currently the Palau requires printed vouchers for entry, so don’t get caught out. All the tours of the Palau de la Música Catalana start in the Sala d’Assaig de l’Orfeó Català. This cosy venue is used for small-format concerts, talks and presentations. 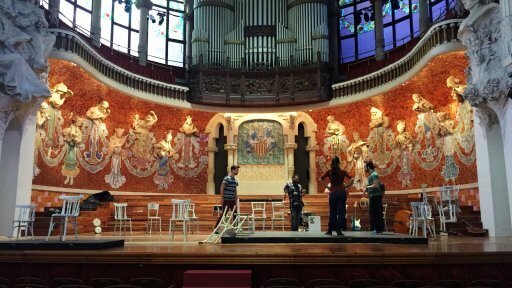 However, its true purpose is the rehearsal room for the Orfeó Català. The room is ornately decorated and has great acoustics. In the middle of the floor is the first stone of The Palau, laid in 1905. It is fitting that the tour starts in the Orfeó Català rehearsal room. The Palau was built to give the choir a permanent home. 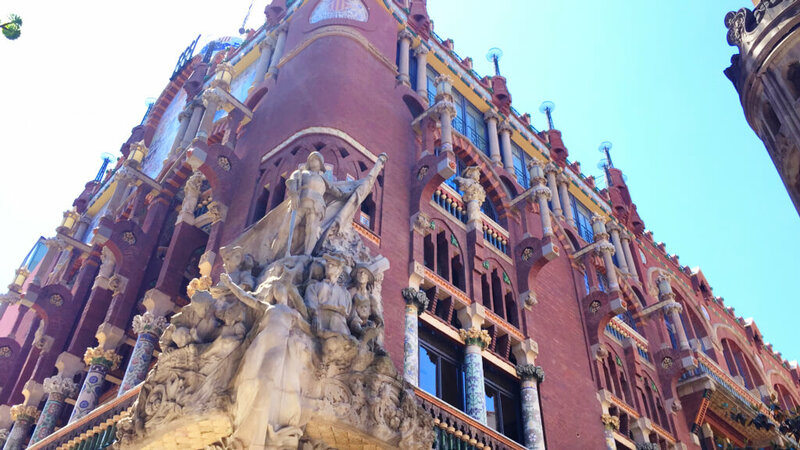 Orfeó Català was started in 1891 by Lluís Millet and Amadeu Vives. 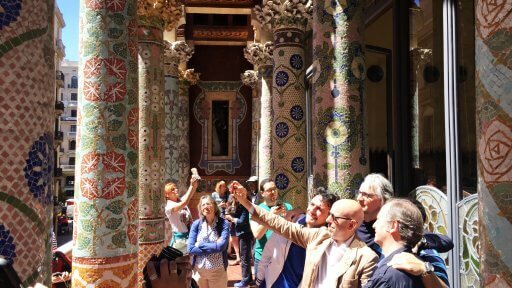 Their idea was to create an amateur choir to promote Catalan music and share choral music from around the world. 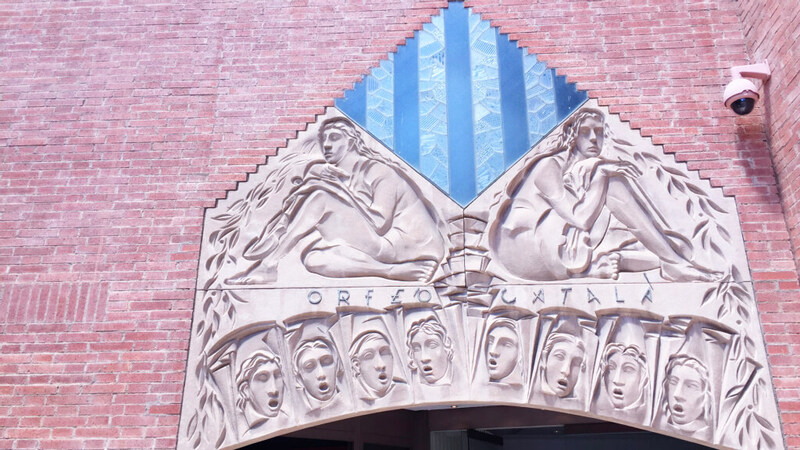 Many of the original members of the Orfeó Català were workers from the textile factories of La Ribera. 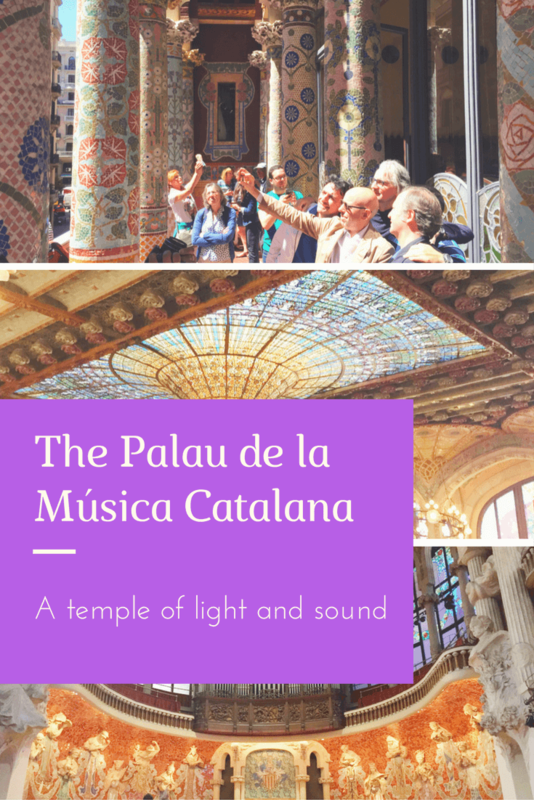 The tour started with a short video about the history of The Palau and some of the great musical talents that have appeared on the stage there. What was remarkable about watching the video was how so many of the artists were clearly raving fans of the building. 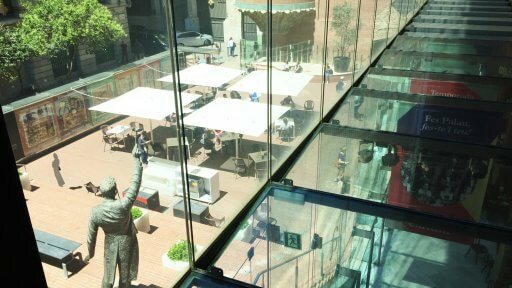 They enthused not only about the beauty of the building, but also the fantastic acoustics. 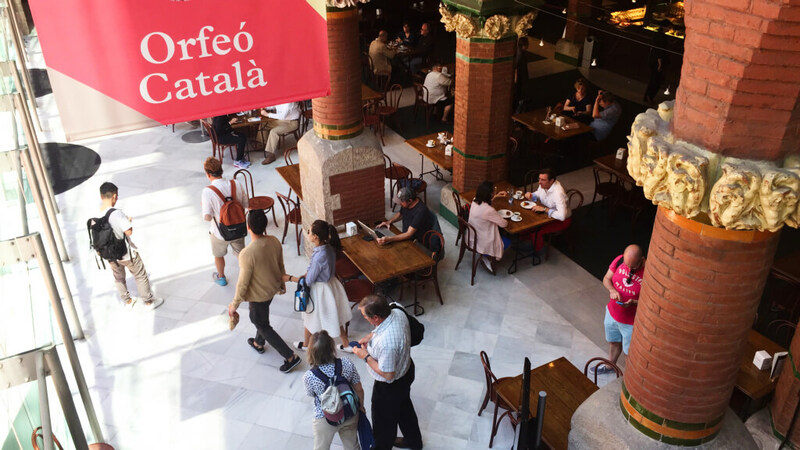 The Orfeó Català was formed at a time when Catalan Nationalism was rising. 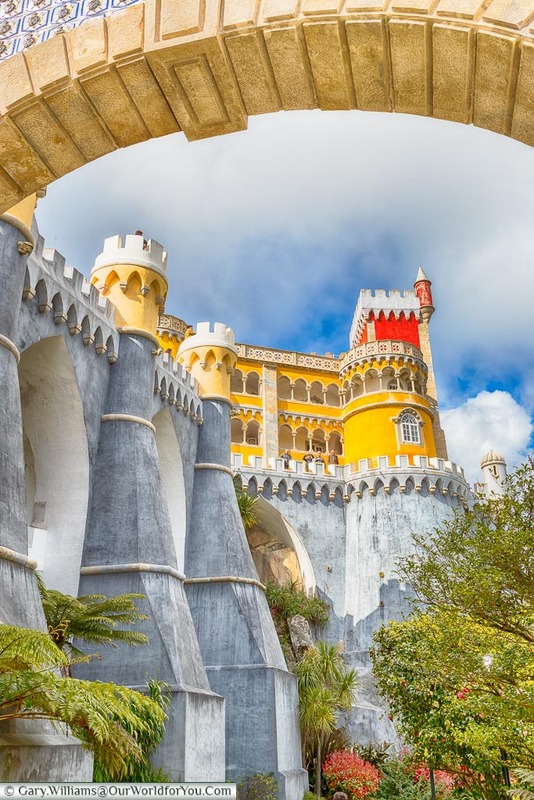 The Orfeó was formed with the idea of creating a choir that could not only perform popular songs but would also develop a repertoire of polyphonic classical works. The founders wanted to share Catalan identity with the world and share world music with the Catalan people. The Orfeó quickly gained a great reputation and through subscriptions from its members and fundraising they bought a plot of land adjacent to a church in La Ribera. 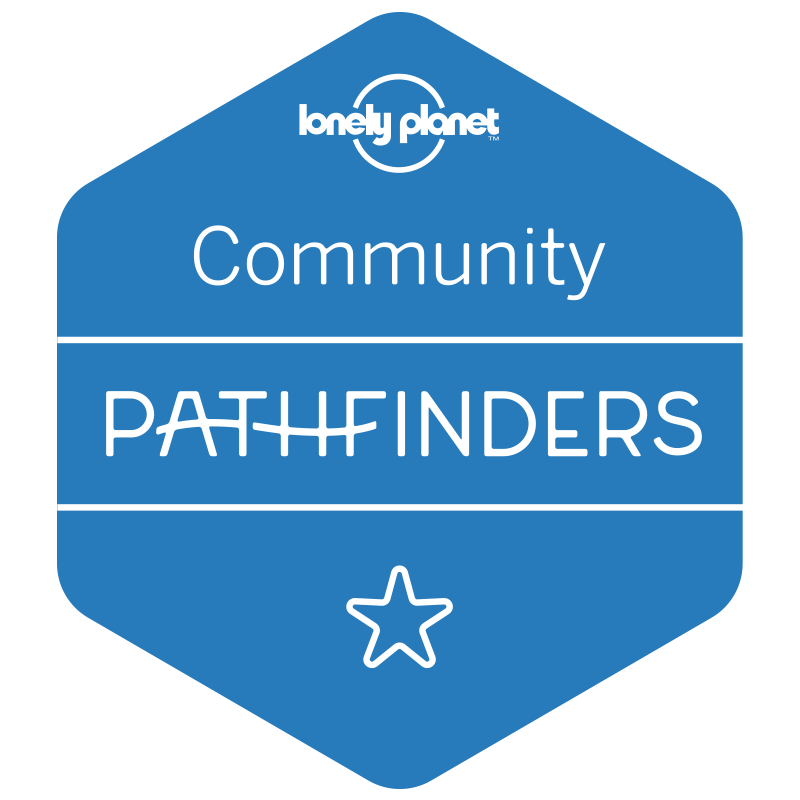 It’s a testament to their popularity that they raised enough money to hire a leading architect of the time to design their home. Lluís Domènech i Montaner was one of the founding architects of the Catalan Modernisme movement. Montaner was also an advocate of Catalan Nationalism. 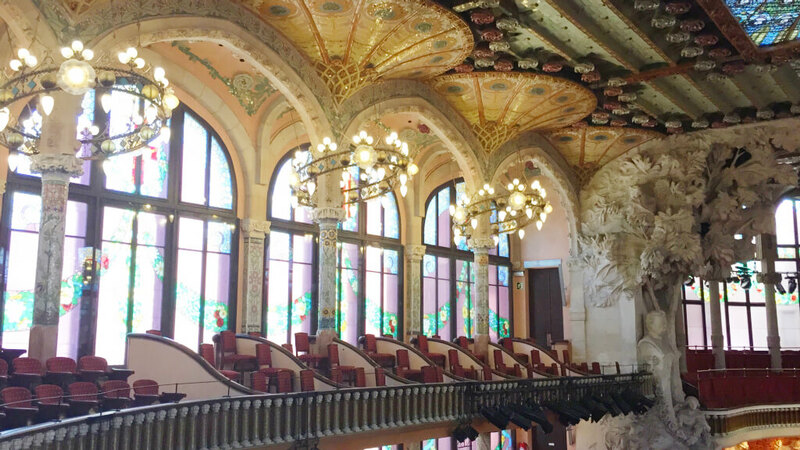 When he designed The Palau, he wove a design that both reflected Catalan Nationalism and the ethos of the Orfeó. After the video, we began to explore the building with commentary from our guide. In the Sala Lluís Millet, our guide gave us some background on the Modernisme movement. 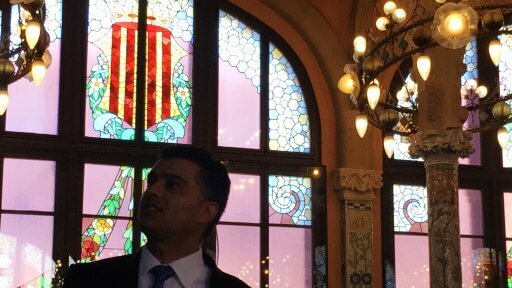 He also explained about Montaner’s use of Catalan symbolism in the building. The stunning sculpture that had caught our eye on the corner of the building is a great example of this. 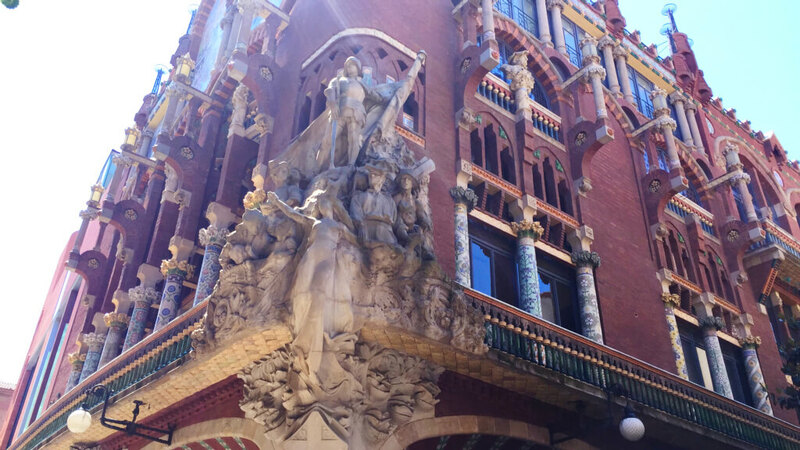 The sculpture is of St George leading a group of Catalan figures and is based on a Catalan Folksong. 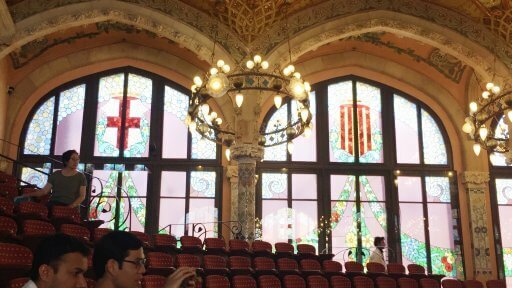 Throughout the building, you can find the Cross of St George and the Catalan flag. You will also find 1,000s of roses in the building. St George, or Santa Jordi as he is called in Catalan, is the Patron Saint of Catalunya. Anyone who has ever been in Barcelona on April 23rd will know that on the day, you can’t move for stalls selling roses. (And books, but that’s another story). Legend has it that when George killed the dragon, a rose sprung up where the dragon’s blood touched the ground. 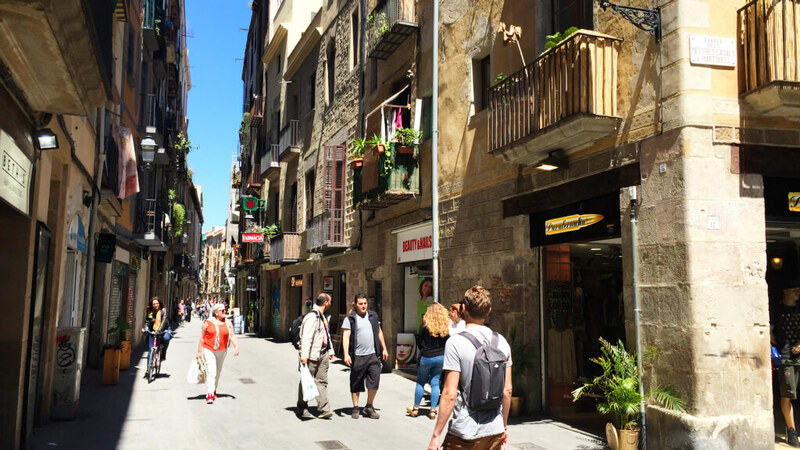 The tradition in Catalunya is for men to give women they love red roses. In fact, on the day, some six million roses are sold. (Along with around 800,000 books, but like I said earlier, that’s a whole other tale). 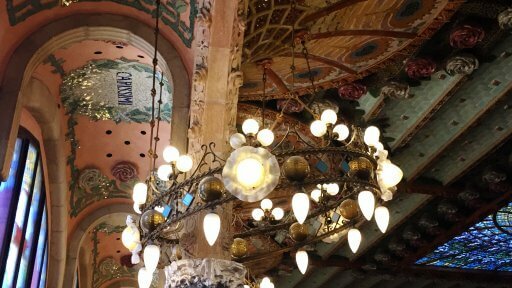 Montaner drew a lot of his influence from nature, as well as from Spain’s medieval and Moorish past. Much of the decoration of The Palau features flowers and plants. 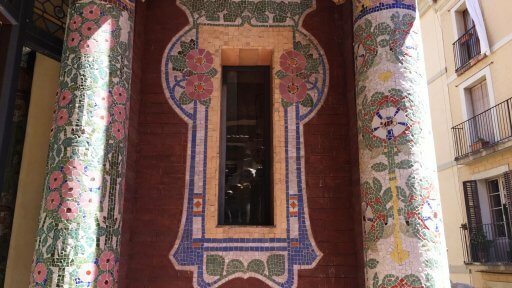 There is also a lavish use of brightly coloured mosaic. Perhaps the best display of the mosaic is on the balcony just off Sala Lluís Millet. 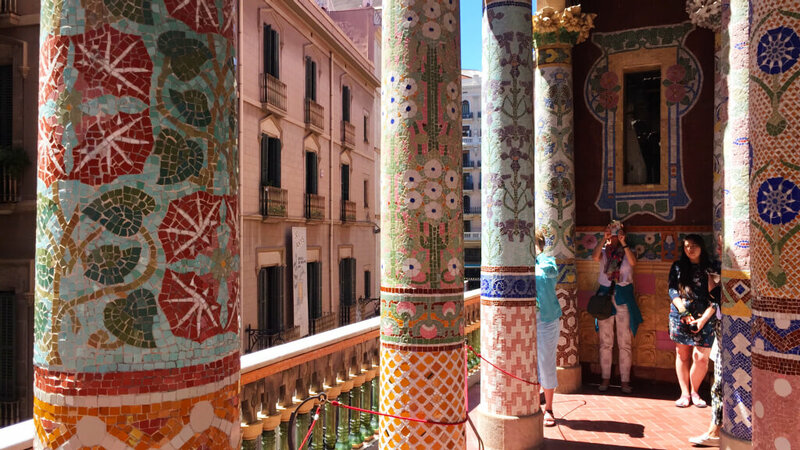 The pillars on the balcony are simply stunning! The balcony, the Sala Lluís Millet and Sala d’Assaig de l’Orfeó Català are all great but really serve as a warm up for the headline act of the show, the auditorium. Walking into the auditorium is a breathtaking experience. 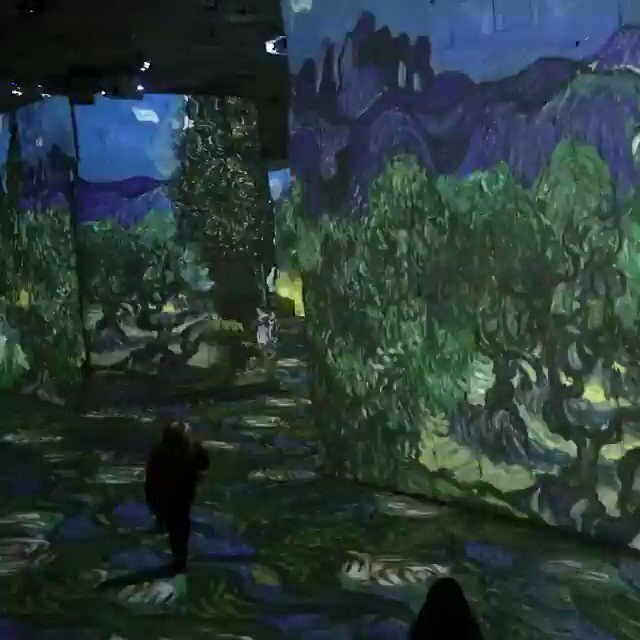 Actually, it is difficult to find words to describe how fantastic it is. 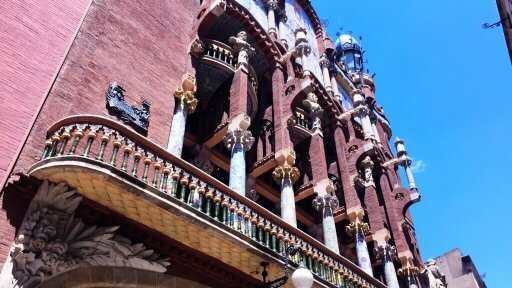 In my opinion, it is the most beautiful theatre I have ever visited. The guide explained many of the details of the décor, as we sat in the stalls. It was hard to concentrate on the guide as there was so much to draw your attention. When it comes down to describing the auditorium, it is difficult to know where to start. 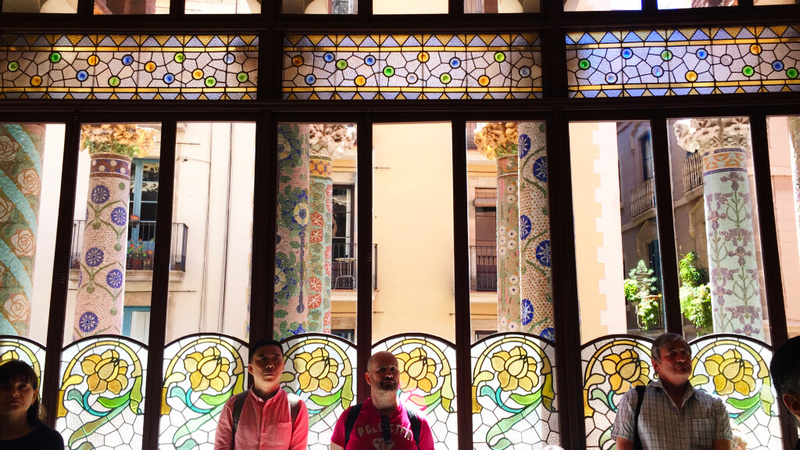 Should I start with the fabulous stained-glass windows? 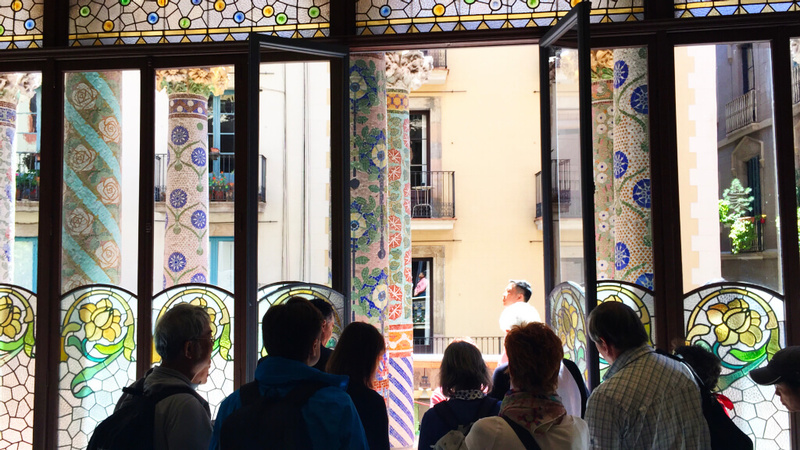 Their elegant panes glistened as the light passes through St George crosses, Catalan flags and garlands of flowers. Or perhaps with the sculptures of the muses that align the walls at the back of the stage. Each represents a musical style from nations around the globe. The pillars that support the building are also works of art that reach up to hold up the rose-clad ceiling. 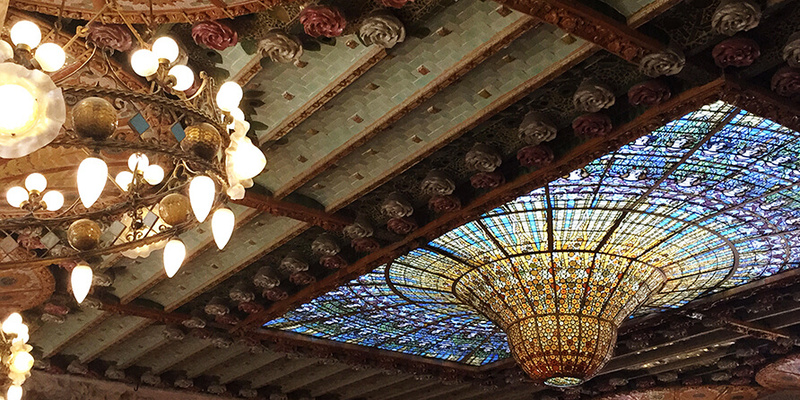 As you look at the ceiling, you cannot help but be drawn to the crowning glory of the decoration at the Palau de la Música Catalana. The Glow Worm looks like a droplet of water that is forever waiting to fall. 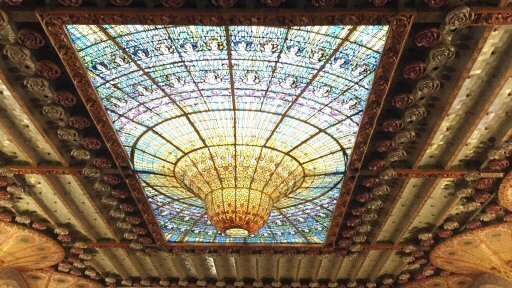 This gorgeous glass construction dominates the ceiling. 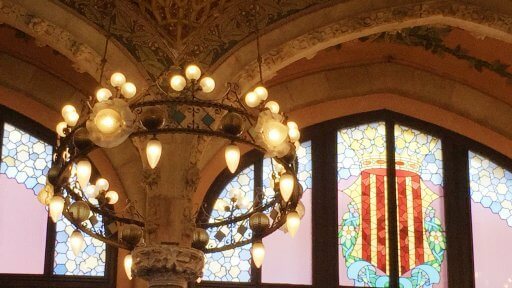 The droplet of the Glow Worm is like The Palau’s own sun, surrounded by a choir of stained glass women that sing its praises. As we sat there, a group of dancers and musicians rehearsed for a flamenco show. Watching the rehearsal, you could sense what it must be like to sit in the auditorium and watch a show. 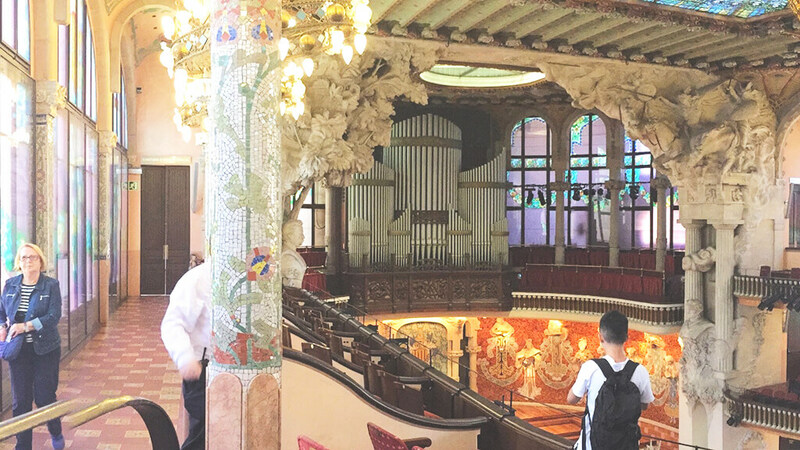 It also serves as a reminder that as much as the Palau de la Música Catalana is a monument to its creator, it is still a working venue. In fact, The Palau puts on around 300 performances a year. Above the stage is The Palau’s concert organ. 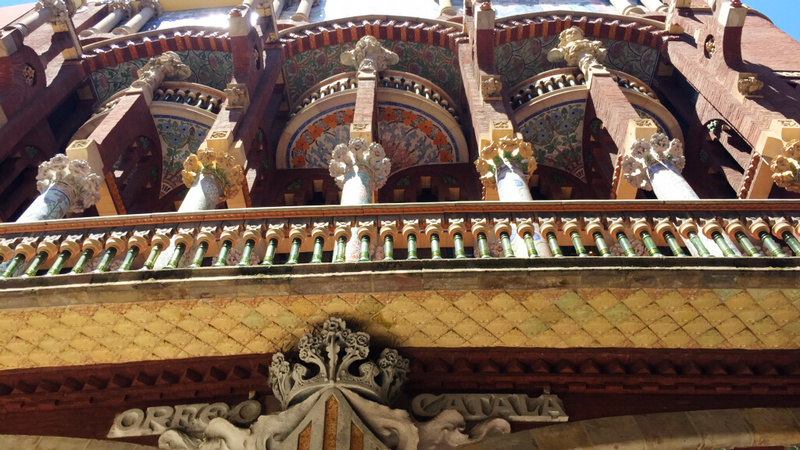 When Montaner built The Palau, he was insistent that everything in its construction was Catalan. 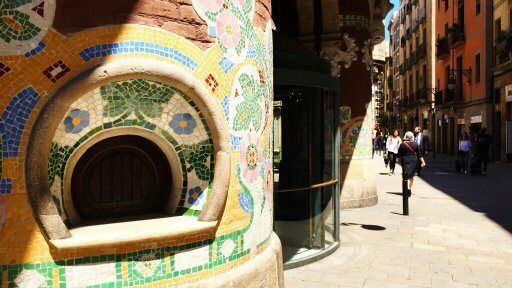 He used local tradesmen, employed Catalan artists for the sculpture and sourced all the materials from the region. However, when it came down to the organ he took the pragmatic decision to buy the best. 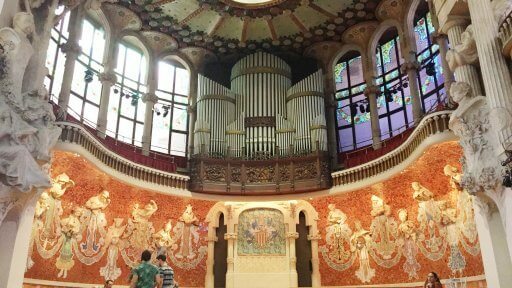 The organ was built by German firm Walcker in Ludwigsburg and is the only thing that wasn’t sourced locally. Unfortunately, following some work done in 1973, the organ began to deteriorate until in the 1980’s it became unusable. 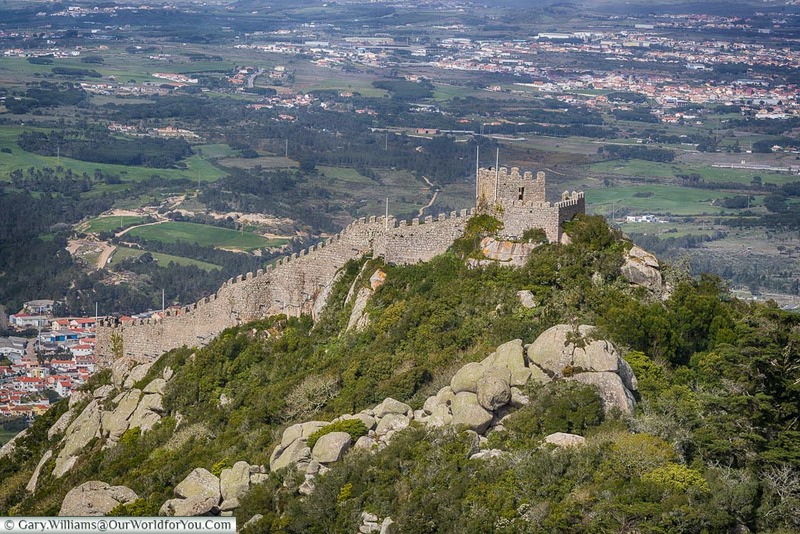 It remained that way until 2002 when it was fully restored. The restoration also included a very modern addition. The organ now has a computer system that plays the organ automatically once a day, helping to keep it in working order. Our first visit to The Palau coincided with the daily play and we were treated to a 5-minute organ recital that showed off the acoustics of the hall. After visiting the upper levels of the auditorium, our tour finished with a walk back to the café on the ground floor. Even though we had visited twice, I felt that there was more about The Palau that I wanted to see. 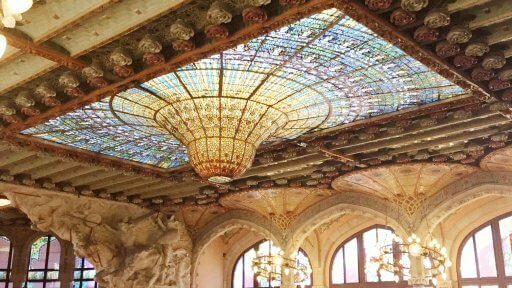 Next time we visit Barcelona, we’re going to check out the programme of performances at The Palau and see if one takes our fancy. I think that one of the best ways to appreciate the venue would be to see (and hear) it as a member of the audience. 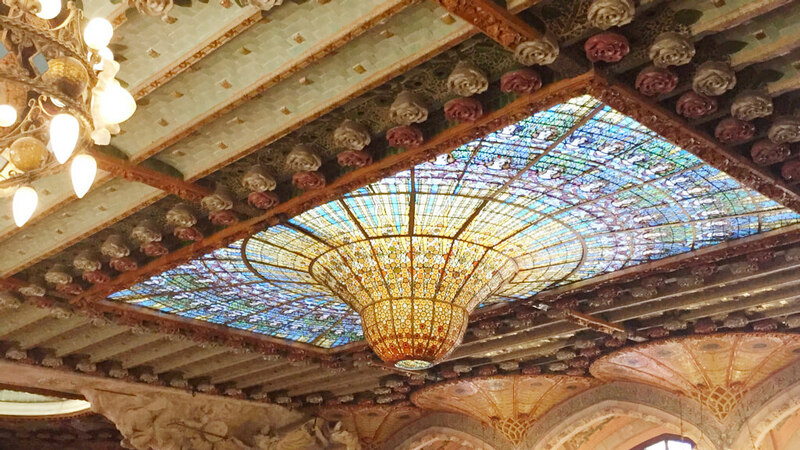 If you’re visiting Barcelona, add The Palau de la Música Catalana to your to-do list. 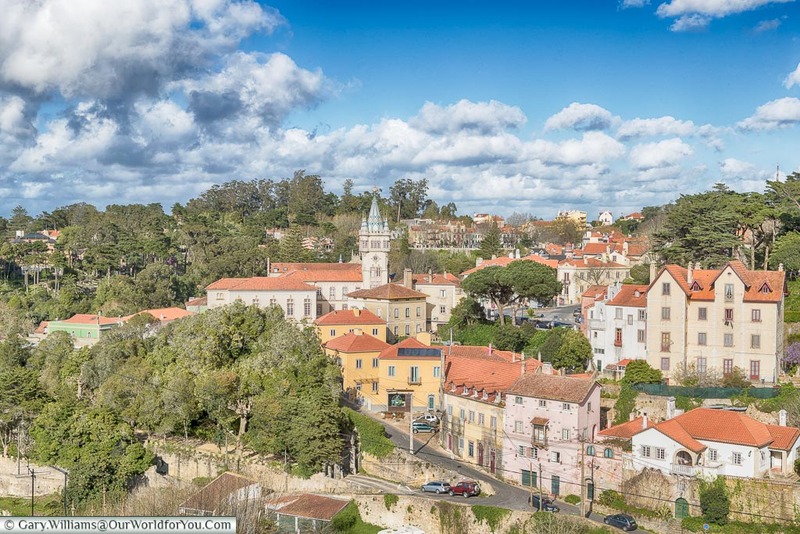 There is a range of tour options on Viator and the tours are available in several languages. Whether you’re a lover of art, architecture or music, The Palau is a place that will delight your senses. If you’re visiting Barcelona, make sure The Palau de la Música Catalana is on your to-do list. 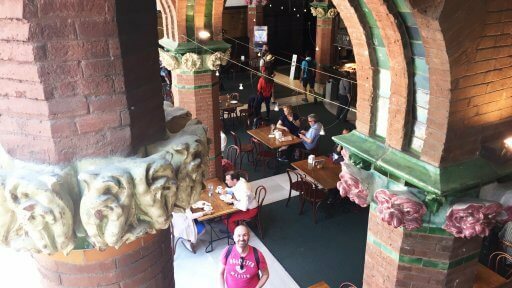 Hey Bart and Andy, So great to revisit the Palau de la Música Catalana through your review. Makes us want to revisit the Palau next time we are in Barcelona! Thanks, guys. 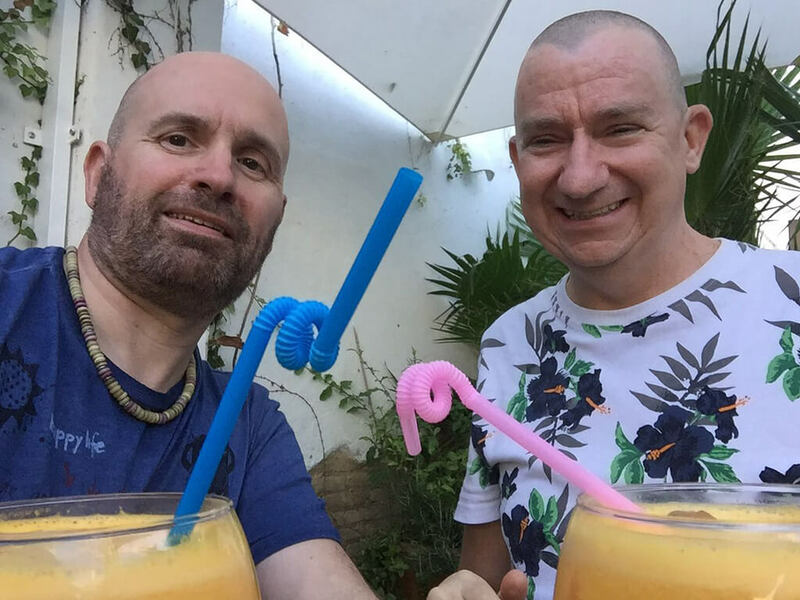 I’m sure that with Barcelona being a port of call on so many cruise trips you’d be able to combine a visit with one of your at sea adventures. 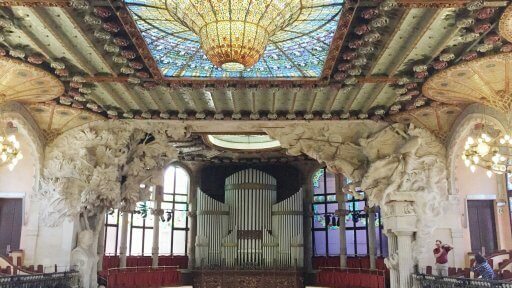 We’d love to check out the acoustics properly and take in a concert next time we visit.